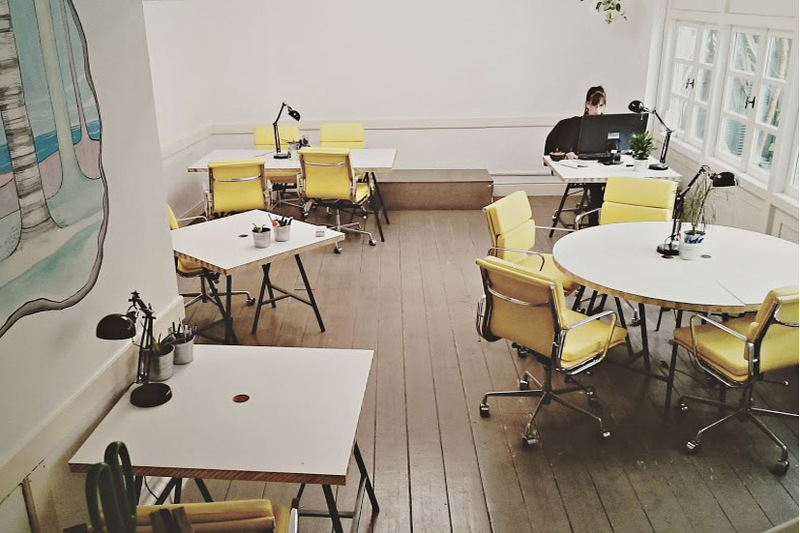 We believe that the best work environment is not a closed off office or a small room. Therefore we design a space that represents the exact opposite: an open and welcoming workspace designed to inspire creativity and facilitate collaborations. We have two meeting rooms perfect for small groups. These rooms are flexible and can be re­configured according to the specific needs and use. Our diverse and versatile spaces can easily accommodate large-scale and private events. The Open Space is the main area where our community works and collaborates. 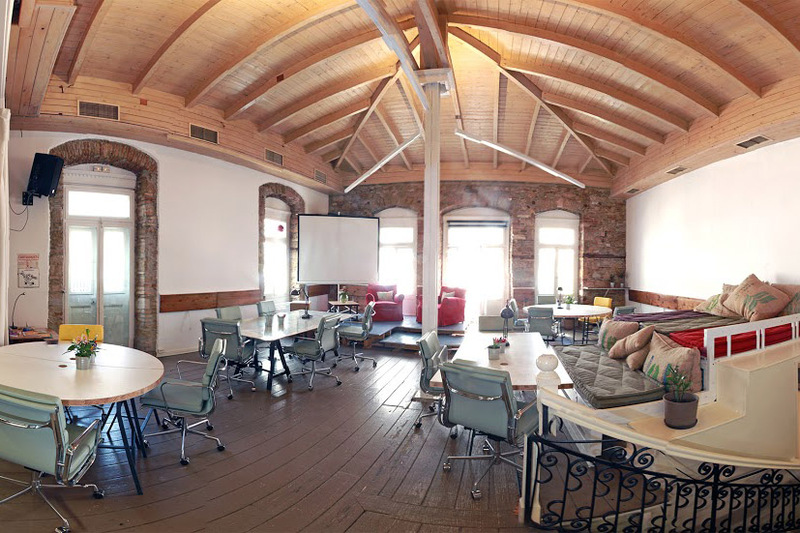 It can host anything ranging from seminars, conferences uniquely designed furniture, it can swiftly be transformed from a open coworking space into a space for conferences and big events that can host up to 150 guests. Scene, projector, PA system, air condition, internet 50 mbps, flipcharts, access to the terrace, possibility of interpreting chamber mounting. The small meeting room is especially designed for small sized team and private meetings. . The workshop room is perfect for meetings, speaker events, workshops, seminars, focus groups, presentations and press conferences. The White Room is a special room which isn’t completely separate from the rest of the Impact Hub but then again isn’t really fully a part of it either. It is the ideal room for group meetings and presentations. 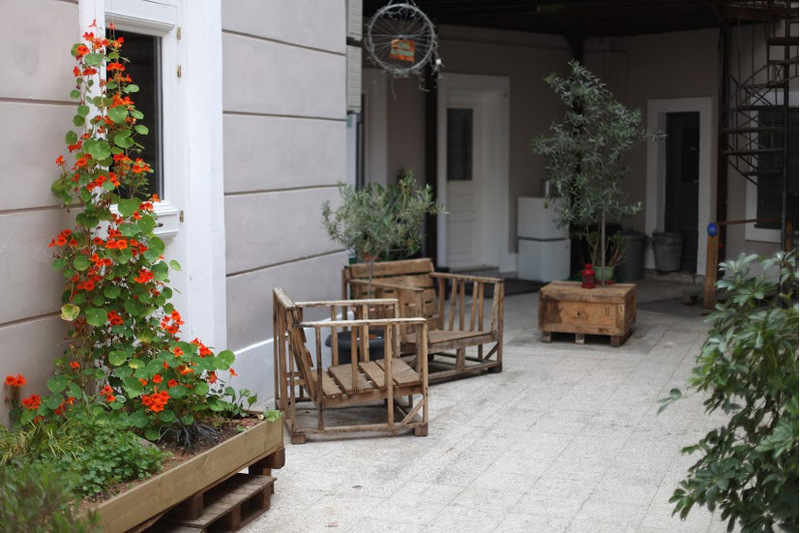 Our Athenian garden is perfect for social and professional events, cocktails, meet­ups, concerts and much much more. 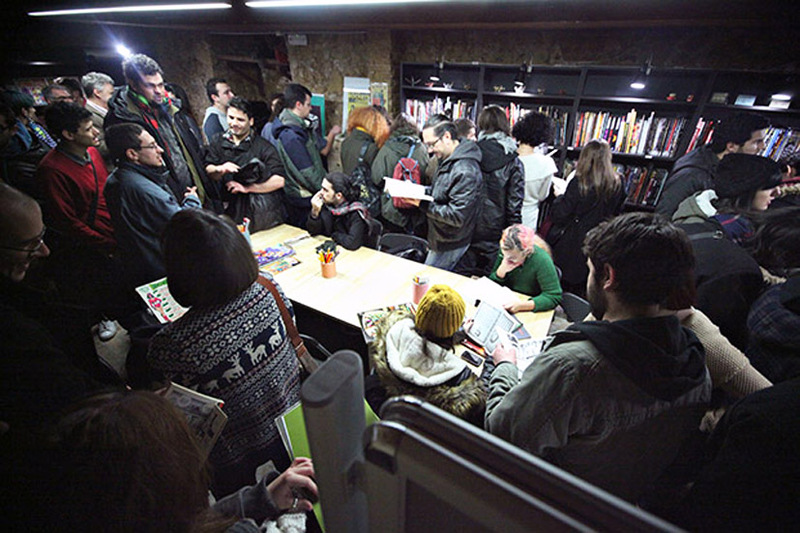 Other than being a great resource for the Greek comic book community the library is also a good space to host workshops for kids and adults, closed meetings and seminars. 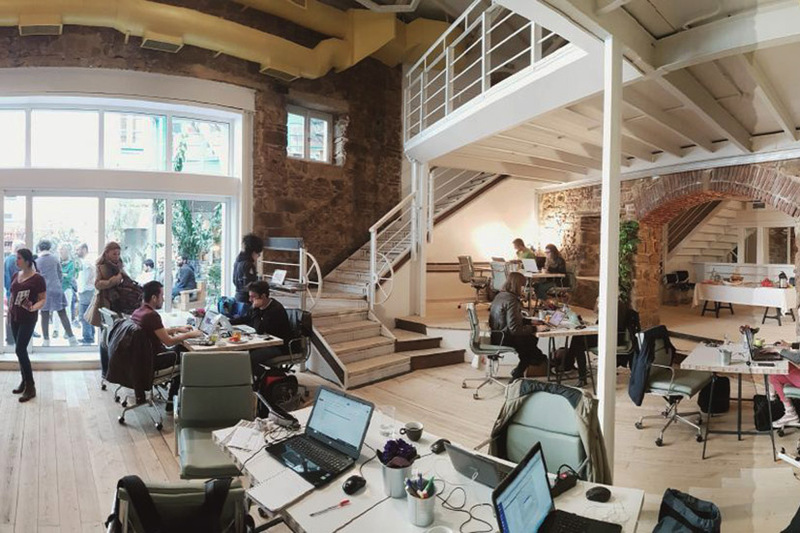 Definitely the busiest part of Impact Hub Athens. In our kitchen you will always find fresh coffee and tea while you have all the tools and amenities to prepare fresh juices, smoothies and light meals, or just enjoy your lunch break with our community. 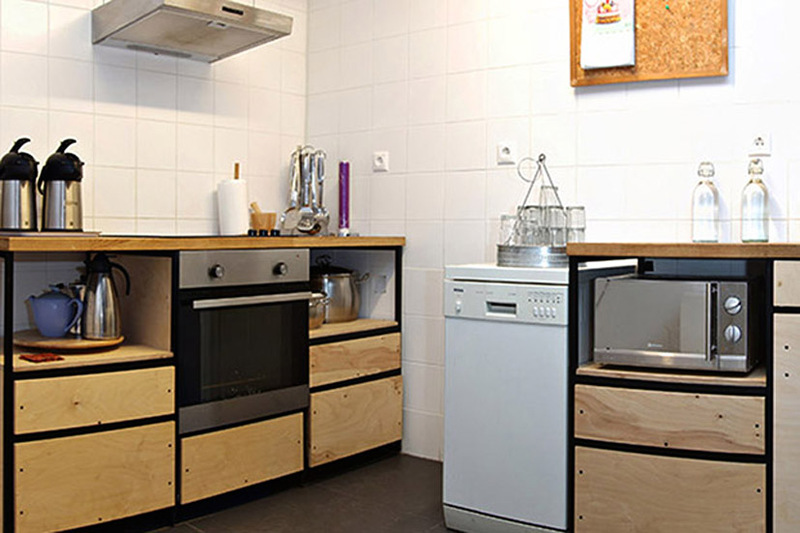 Our kitchen is ideal for cooking seminars and private chef­ing sessions. A space for any bike fix­-me- ­ups. 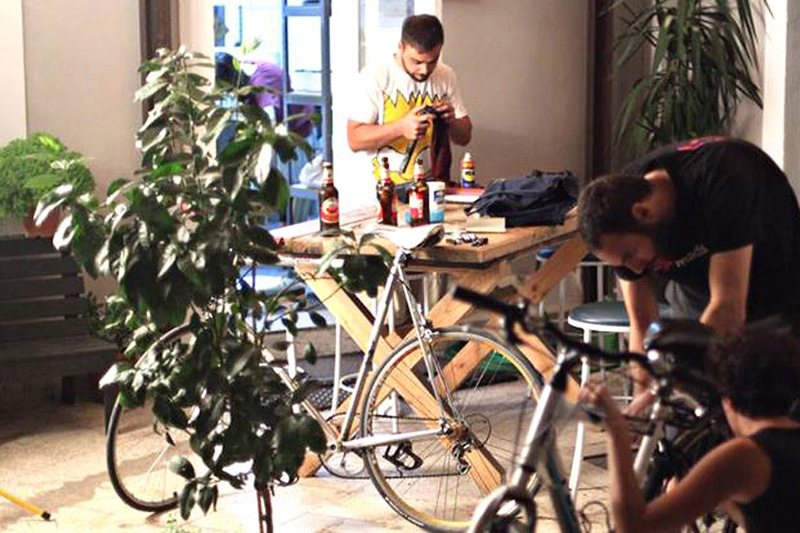 The Bike Kitchen is open to the public every Thursday and it is a central point for the bike community of Athens. It can also host workshops and seminars. The most recent addition to our facilities, HubDeck is adjacent to our main building sharing the same garden. 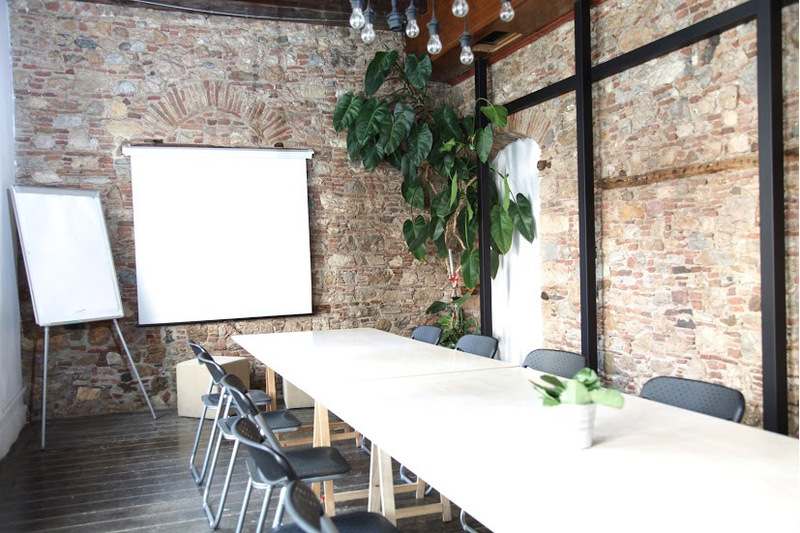 A versatile open co-working space that extends to three levels and is ideal for presentations, talks, group projects and all kinds of events. Stage, projector, PA system, air condition, internet 50 mbps, flipcharts, access to the garden, possibility of interpreting chamber mounting, accessible. Do you want to book our space ? 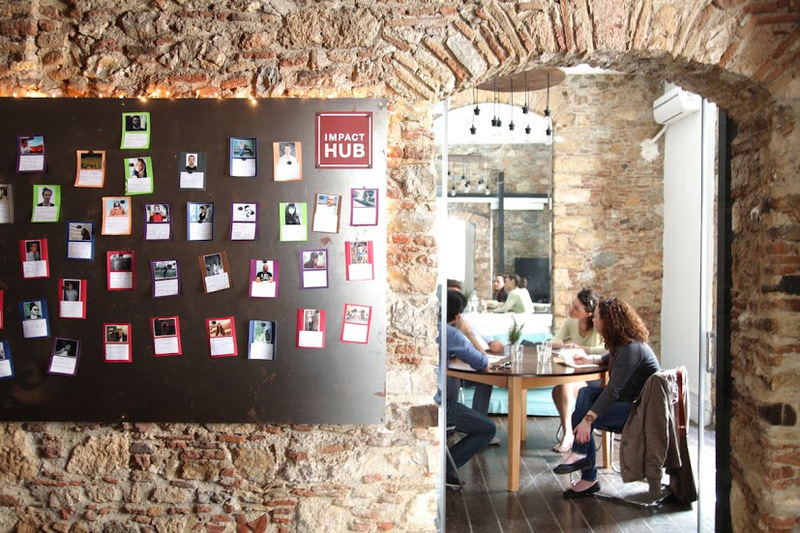 Στο Impact Hub Athens πίστευουμε ότι η αλλαγή μπορεί να έρθει μέσα από συντονισμένες και συνεργατικές δράσεις φορέων με κοινές αξίες. Έτσι αναπτύσσουμε στρατηγικές συνεργασίες για να δώσουμε λύσεις στα σημαντικότερα, κοινωνικά, οικονομικά, και περιβαντολογικά ζητήματα.